﻿ Zest Cabana at Maafushi, Maldives Islands | FROM $32 - SAVE ON AGODA! "Absolutely great service and very accomodating staff." Have a question for Zest Cabana at Maafushi? "we feel safe with shariff and his crew.they attended us with patience." "Pros : - staff was great!!!" "Just a few steps from the beach :) - room is always clean :) - breakfast was great :) love the unlimited coffee :) The place really gives a homey feeling :)"
"I had the deluxe room with air con and fan, nice kingsize be..."
Offering quality accommodations in the romance, beaches, sports district of Maldives Islands, Zest Cabana at Maafushi is a popular pick for both business and leisure travelers. The city center is merely away and the airport can be reached within 30 minutes. With its convenient location, the hotel offers easy access to the city's must-see destinations. 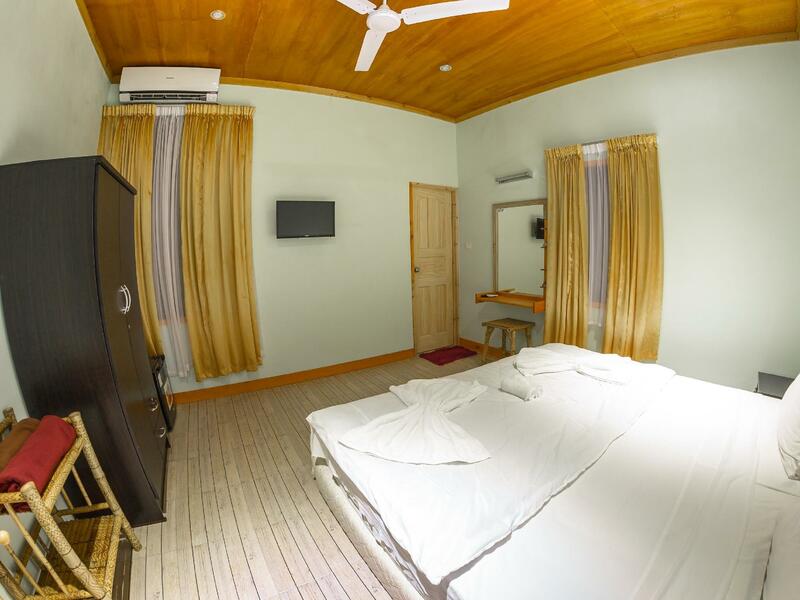 Offering hotel guests superior services and a broad range of amenities, Zest Cabana at Maafushi is committed to ensuring that your stay is as comfortable as possible. Top features of the hotel include 24-hour room service, free Wi-Fi in all rooms, 24-hour security, daily housekeeping, gift/souvenir shop. Hotel accommodations have been carefully appointed to the highest degree of comfort and convenience. In some of the rooms, guests can find television LCD/plasma screen, air conditioning, wake-up service, desk, mini bar. Besides, the hotel's host of recreational offerings ensures you have plenty to do during your stay. Zest Cabana at Maafushi is a smart choice for travelers to Maldives Islands, offering a relaxed and hassle-free stay every time. "For a budget friendly stay in Maafushi I highly recommend th..."
I had a great holiday here with my friends and my son. Love the staff here, they’re so cute and helpful. For a budget friendly stay in Maafushi I highly recommend this place. Mohammad and Mauroof were so helpful to us. Since we arrived in the afternoon planned already night fishing and grilled the fishes we catched. And following day, we had a half tour and it was amazing. The room was very spacious. But the place was bit far from the bikini beach like 5-10 minutes walk. i was bit disappointing with the breakfast as its getting boring. For 7 nyts we were there it was the same. Free tea and coffee though. Will recommend here if you’re looking for a more local authentic Maldivian stay in Maafushi. The hosts are extremely easy going and can arrange private night fishing and snorkelling trips too! Pros: Cheap Flexible(one day we need to excursion early morning,staff prepare our breakfast earlier than he should) Clean Can cook our food(there is kitchen there) Hospitality and friendly -Thanks do much for making our memorable experience there. -air condition functioning -spacious room Cons: a bit far from bikini beach.need to walk 7-10mins. 3 min walk from the ferry base, close to the beach and food places. I had the deluxe room with air con and fan, nice kingsize bed, very clean. Staff is really nice and helpful. Even made my breakfast 20 min earlier due to boattrip. Breakfast was ready the moment we sat at the dining area. Whenever we need help, help will be given. Even thou sometimes staff not in, we text them and they will respond quickly. We stayed from 10th March to 14th March 2018 @ Zest Cabana. It was really a good stay and it was like home away from home! Staff won't interfere in any of your activities within the space and in fact one can use the kitchen and cook food for kids or oneself if need be! They used to clean the room daily and the whole place was quite neat and clean all the time. Kiddoo is always available if you need anything and read to help, he in fact, he let me drive his bike too on the beach !! :-) Location is just perfect, the moment you come out of the place and look at the back you have the entire Ocean to look at!! We enjoyed our morning tea and coffee there !! Walkable distance from Bikini Beach (in fact the entire Maafushi can be covered in 30 min. walk) I would surely recommend this place to anyone coming to Maafushi! The guesthouse is very clean, organized. The room is big enough. 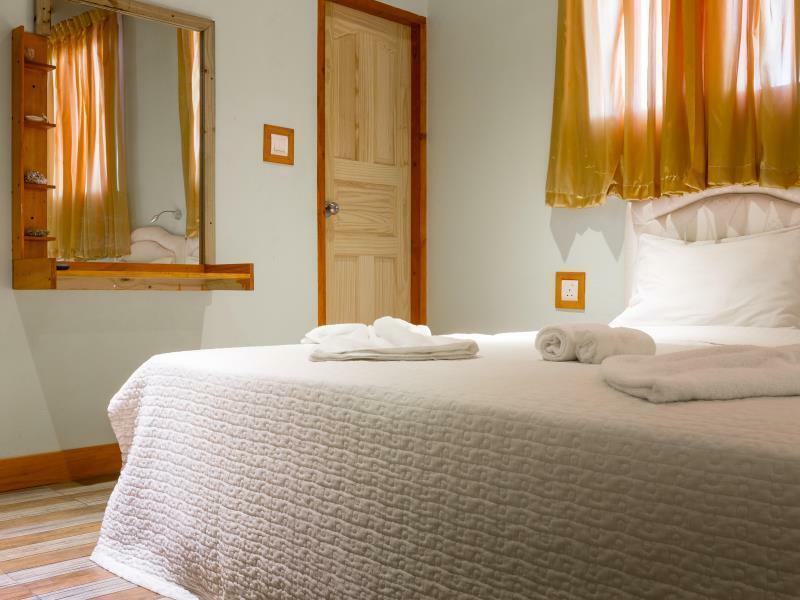 The staff was very friendly and helpful, offering great activities, and recommending things to do in the island. If you have some special needs they can arrange everything. It was a pleasure to stay here. Absolutely can recommend them. When we arrived at Maafushi island, we had little difficulty reaching the location of this hotel because the location of this hotel is far from where the ferry docked. The hotel is small but comfortable enough, the staffs were friendly and helpful enough especially KIDDO. They offer a good breakfast and affordable tour packages. all is ok. but one thing is not ok is all rooms don’t ​have internal door lock. Absolutely great service and very accomodating staff. We did our activities through them and it was superb as manager Sheriff is really helpful willing to go and beyond on what other things you want to see in the island or in the tour. I really love the fact that Maldives has such a great marine life and aside from the island offers, staff on the hotel are really nice! Had a great and clean room and always fixed our bed.. On the food part, I really like the tuna fish with coconut..:) Will recommend this place and would like to come back again on Maldives and revisit this hotel again..:) they treat you not just a guest, as a family as well! Location is close by the local Beach and few minutes away from the bikini beach..